Wisdom teeth, also called third molars, appear in the late teen and early adult years. When they grow improperly, cause crowding or don't emerge and become trapped within the jaw, removal may be recommended. To minimize the risk of bleeding, pain and infections after extraction or surgery, your oral surgeon will recommend certain measures -- including a temporary hold on alcohol and exercise. 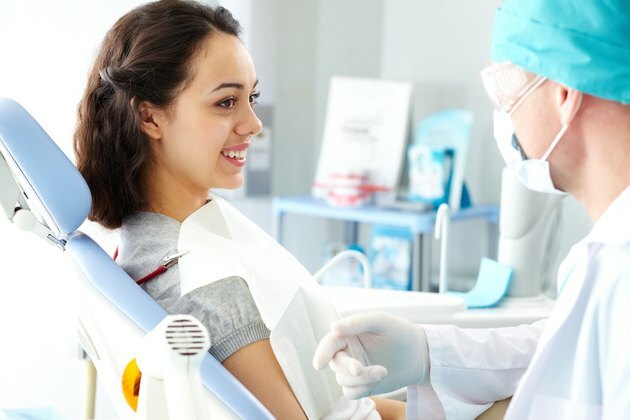 Your specific postoperative instructions depend on your health and the extent of your surgery, so talk to your oral surgeon about how to care for yourself during your recovery time. After a tooth is removed, a blood clot forms over the socket or the space that held the tooth. If this clot gets dislodged, the nerves and bone get exposed. This is termed a dry socket, a complication which can increase pain and potentially lead to infection. Since physical activity raises heart rate, which raises blood pressure, being too active right after extraction can increase the risk of bleeding or dislodge the blood clot over the socket. Right after your extraction, it's best to go home and rest. Your surgeon will probably recommend you avoid exercise altogether in the first few days after surgery. The pain medications, anesthesia hangover and the discomfort following surgery typically make this recommendation easy to follow. If your recovery is going well, you may be able to resume walking or other low impact exercise after a few days. Strenuous exercise or heavy lifting are best avoided for up to 10 days, because these activities can elevate blood pressure and increase the risk of bleeding. This may disturb the blood clot that formed in your extraction site, resulting in dry socket. If the surgery was extensive or complex, sports and exercise may need to avoided or restricted for a longer period of time. Check with your surgeon for individual guidance. After wisdom tooth extraction, a common recommendation is to avoid alcoholic beverages for at least 24 hours. A primary reason for this is safety, since common pain medications and some antibiotics may interact with alcohol and cause side effects. Drinking excessively can also increase the risk of injury or falls, which runs the risk of hurting the surgery site. Finally, alcohol is known to impair wound healing and increase the risk of infection, according to a March 2010 article published in "Journal of Dental Research." However, there is not enough evidence to link alcohol consumption after surgery to an increased risk of dry socket. After surgery, take the opportunity to rest and listen to your body and understand recovery guidelines. If you do try to exercise in the first week following the wisdom tooth extraction, keep it light. Avoid alcohol in the initial days and add moderate amounts back according to your surgeon's advice. If you experience a temperature over 101 degrees Fahrenheit, increasing pain that is not improved by medications, or pus draining from the tooth, call your surgeon. Also call if you notice a lot of bleeding. If exercise makes you feel weak or dizzy, stop exercising and call your surgeon or doctor.